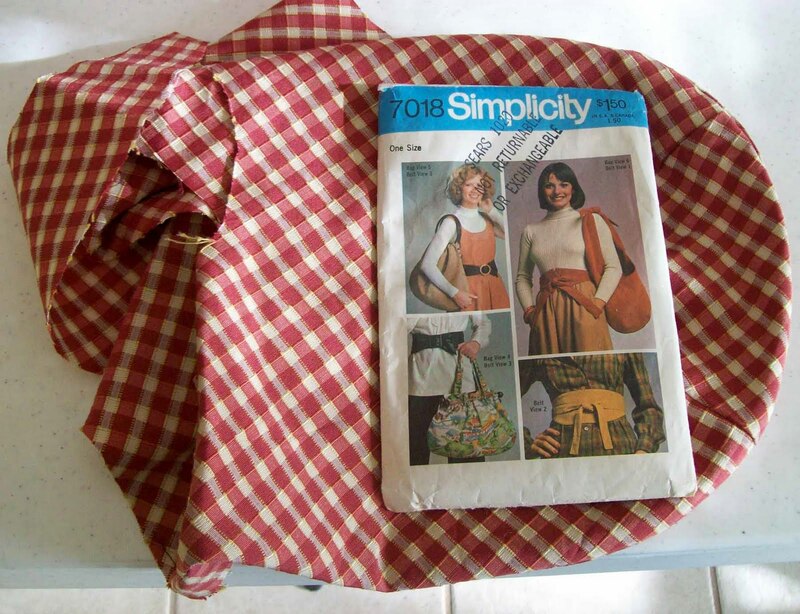 Awhile back (probably Febuary or March) I started making View 1 of Simplicity 7018 (Copyright 1975). 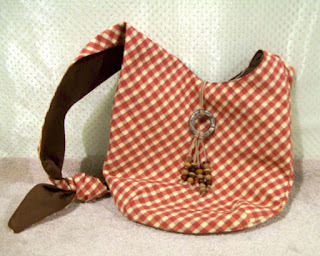 As I recall, I cut out the fabrics and made the outside of the purse, and then, once starting the lining, realized that I'd miscut it; making it unuseable for this purse. As I didn't have any other fabric onhand that corresponded with the shell, and I didn't feel like going shopping, I stuffed it back in the pattern drawer and that was that. Well, I've been feeling abit like sewing, so Saturday, while Beau and I were in Slidell, we made a stop by Hancock fabrics and I picked up a couple pieces of lining fabrics. So, it's a nice Sunday afternoon; Beau's tucked into television football ... Time to sew. This is a very simple pattern ... one piece, calling only for the outer shell and lining. It goes together easy. To it, I added a medium weight interfacing (so it isn't a limp fish) and pulled out some beads, leather cord and a metal ring and put together a hanging closure, of sorts. It's slightly on the plain side, but it's very sturdy and I like it.